Home > News > India v Kenya sold out after Chhetri’s rally cry. Chhetri’s video had quickly gone viral with Indian cricket stars like Sachin Tendulkar and Virat Kohli endorsing the football captain’s message. 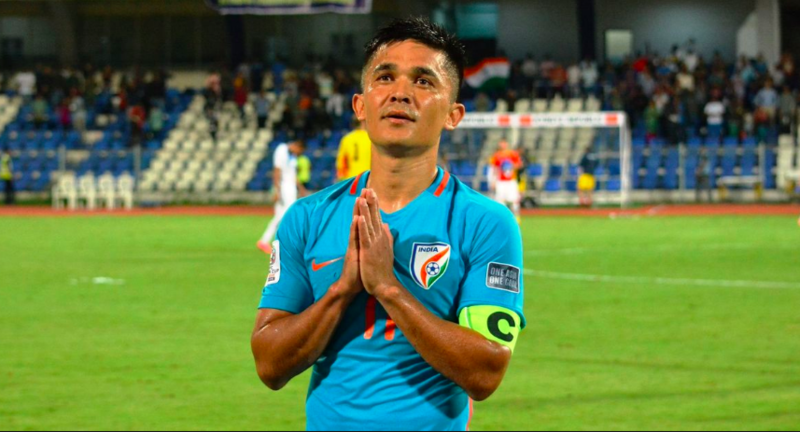 Chhetri’s comments after he scored a hat-trick that helped India thrash Chinese Taipei However, reports in the India media suggested a horrible turnout for the match with the official figures saying that 2,569 fans were present at the stadium to watch India’s win. Chetri’s hat-trick helped him become the third highest goalscorer on the list of highest active goal-scorers in International football. His goals helped him overtake Clint Dempsey and drew level with Spanish star David Villa. Only Portugal’s Cristiano Ronaldo and Argentine genius Lionel Messi are head of the Indian striker. It has been a remarkable few seasons for Indian football as they have seen an upturn in their fortunes that has seen them improve to 97 on the FIFA rankings. The match is set to kick off at 8:00 pm IST today. After the match against Kenya , India face New Zealand on June 7, also in Mumbai. The Intercontinental Cup is a preparation tournament for the 2019 Asia Cup in the United Arab Emirates (UAE). India have been drawn in Group A with hosts UAE, Thailand and Bahrain.